I did think that i would struggle to stick to a plan and lack motivation. I have made exercise a part of my daily/weekly routine with the help and motivation of everyone at JSPT, and the support from everyone at JSPT has helped. I have more energy and feel fit and healthy. I feel comfortable in my clothes again and have dropped a dress size. I have also lost 6.47% body fat, dropped 17lbs and 5.6 inches from my midsection! 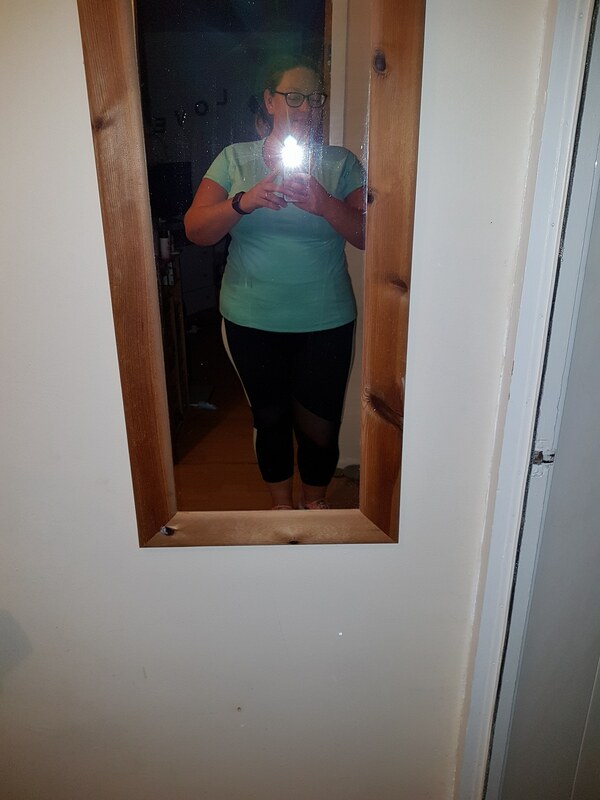 I have had the best results at JSPT, I have done weight watchers and slimming world before and have lost more weight but found it harder to maintain and haven’t gained the fitness that I have at JSPT. 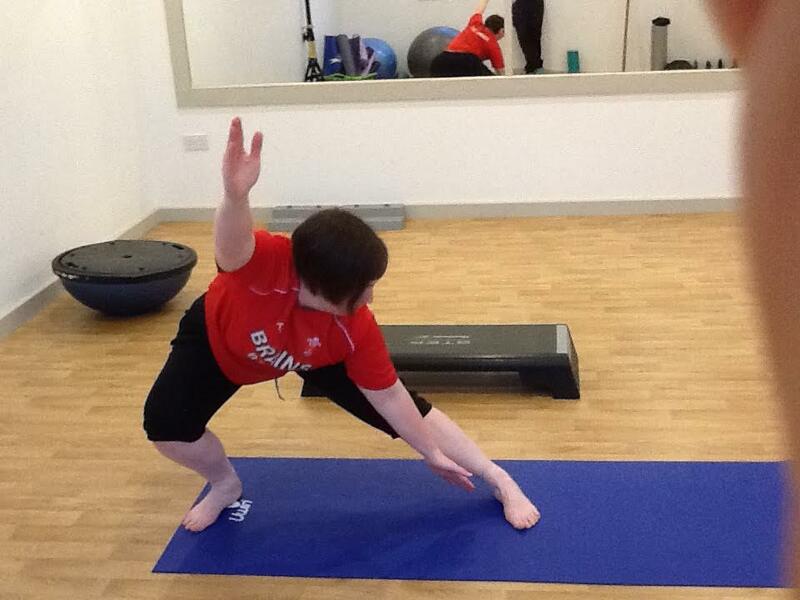 The support from JSPT Health studio makes it easier to make exercise enjoyable and a part of everyday life. Completed an 8 week program losing 24lb and over 9 inches waist and hips combined, more importantly I feel great, stuck to the food side of things about 80% of the time, continuing with a maintenance program, fully recommend, cheers Jack. 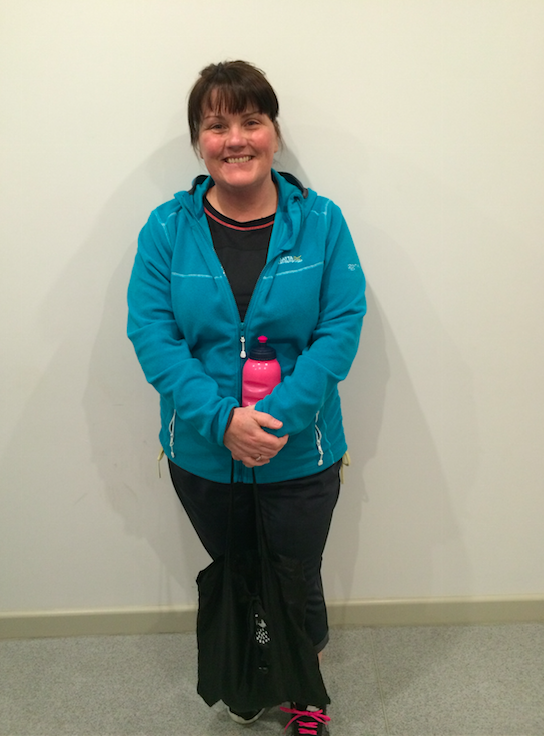 "Before I started the sessions I was literally in agony with my right foot. We went on a walking holiday to the Lake District in june and it started hurting after the long walking sessions. It then gradually got worse up until about october when it just seemed to hurt every day as soon as I got up. 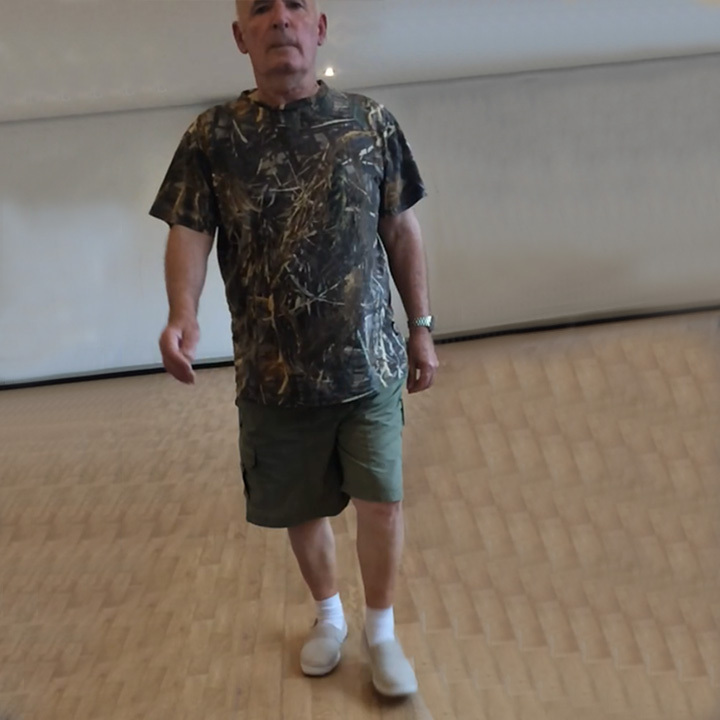 I couldn't put my foot down on the floor when I got out of bed and found that I had to walk on my toes for a while until I could put my heel down and attempt to try and walk on it. I also found that I was walking on the outside of my foot which led to pains in the bottom half of my leg as if it was twisting. I was in constant pain. I knew that I had to get it sorted out as I couldn't go on with the daily pain that I was in. Was unsure whether I should go to the Dr or if it would be better to go to someone who dealt with foot problems and had mentioned it to a friend at training. A couple of weeks later, my friend recommended that I try Jack Sullivan as she had been to him regarding a problem that she had with her back (though I think it turned out was with her hips). She had been to a couple of his sessions and told me that he was really good and it was helping. I had nothing to lose and when she forwarded me the details, I got in contact. Was a bit sceptical after first meeting after being told that after 4 sessions I should be pain free, especially as at the third session my foot was really sore as we had been running in bootcamp the night before. But I did the 'homework' I was given after each session and gradually the pain quickly seemed to reduce to just one specific spot on my heel. The day after my third session (when it had hurt so much) I couldn't believe it as the pain had gone. The rest of that day was pain free and the next day all I had was a slight pull under my arch when I was walking the dog. Since completing all the sessions I can honestly say that i've hardly noticed any pain. If I know i'm training or going out walking, i'll do some stretching exercises I was given before I start and if it does feel as though my foot is pulling under the arch, or if I can feel my heel starting to hurt, I just make sure I do the stretches again afterwards when I get back in and it's working so far! It's hard to explain - You take walking for granted, you don't even think about it, but when it's causing you constant agony every day, every time you try and put your foot down on the floor it brings you down. I'm so glad I got in touch and can't thank you enough." I was out of action for 18 months, due to a slipped disk, surgery and recovery time, things were much better but I still had issues with pain in my foot and a loss of feeling in my calf. I wanted to get back on my fitness wagon but part of me feels I may have caused my slipped disk by not doing things properly, so I wanted professional advice. I’ve learnt about my self and understand myself more over the last few weeks, Thanks to Jack. I rarely get pain in my foot now, its gone from being the main focus of my day to day life, to me reminding myself that I had pain and then smiling when I realise its not there. So I'm almost ready to start running again. 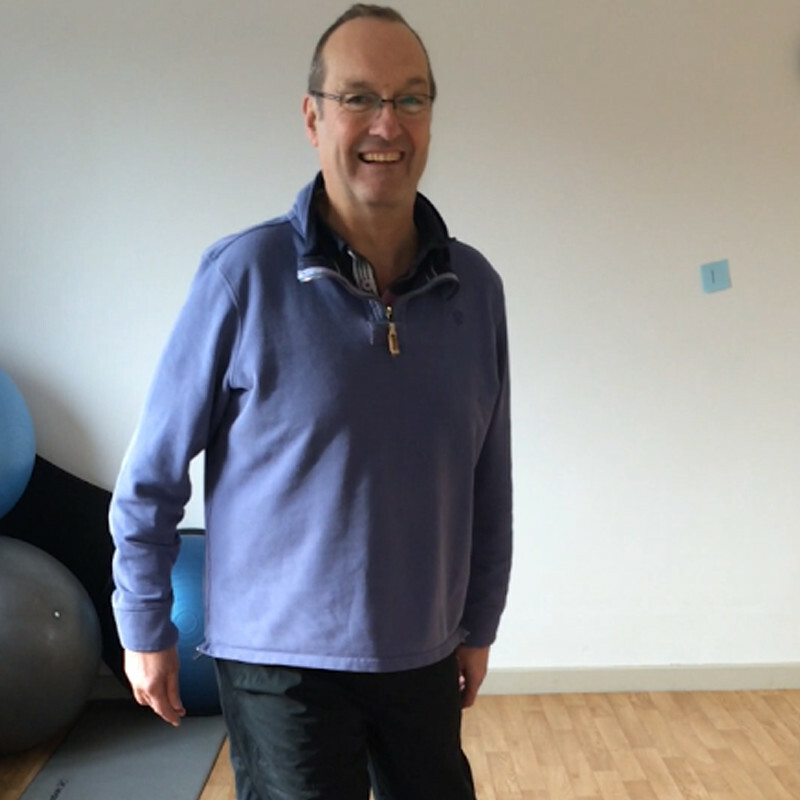 Before starting the sessions I was training for the great north run but suddenly became unable to raise my left leg without pain or sit for any length of time and had to stop all my gym and running activities. I was worried about how much was it going cost to get fixed and wasn’t sure how Jack’s sessions could help. 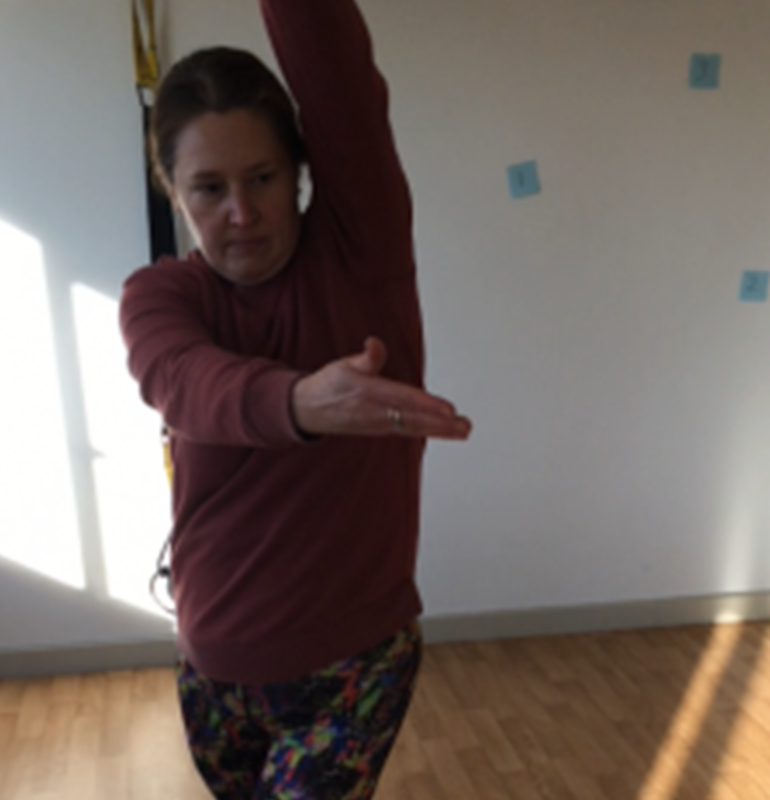 Between sessions I have been doing exercises at home and whist at work which helped to relieve the pain . Now I am virtually pain free I hope I can resume my gym activities, golf and crack on with training for the great north run. I never thought I would be free from the pain! InJanuary 2016, I was trodden into the ground by fibromyalgia, and had fallen down stairs and hurt several ribs. I had ended an abusive (alcohol, verbal, emotional, physical, and financial) marriage the year before and my kids were wounded by it all and I needed to be able to help them and myself. 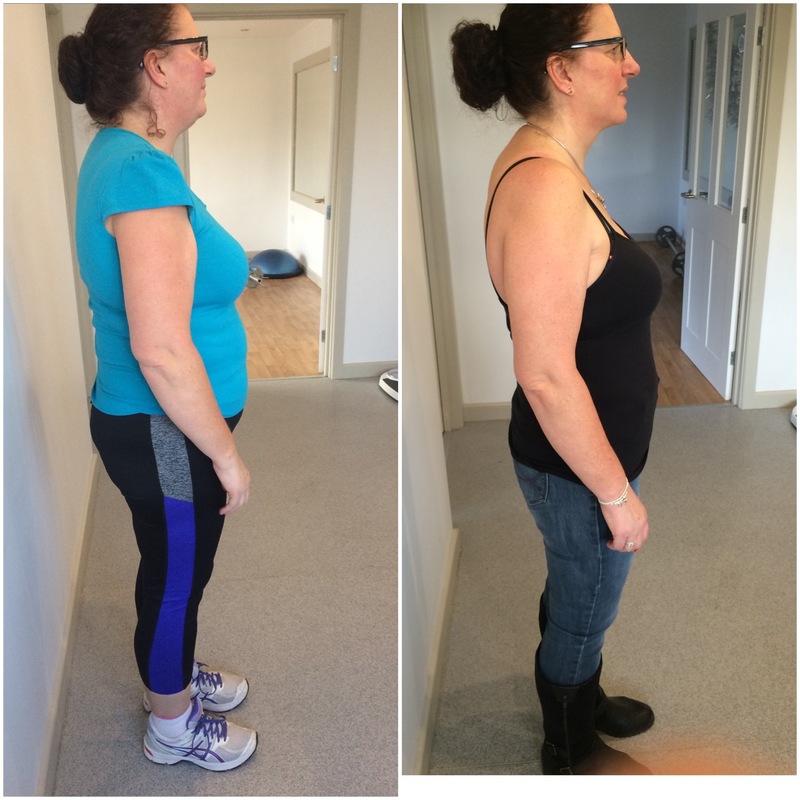 Since starting on the VIP transformation programme I have lost a few pounds, but lost nearly 5 inches and gone down a dress size. The most amazing thing for me though is that I come in from work each night and do something. A brisk walk with the dog, or a work out with a mate. None of this was possible last January. I haven't had a fibro crash since I started this programme! over 6 months! I can identify when it is going to happen. I now have the tools to stop it. I am starting to lose the weight. Thank you so much to Jack for patiently and steadily working out why I was in such a mess, and helping me to understand how to break free. Now, 6 weeks on i Feel a lot better in myself the stiffness and pain i had is loads better and lost weight which is a bonus. The exercise's i was given for my back have helped me and are the reason i can now do what i do. I've lost weight (over half a stone) and inches, my sleep is better and my fitness seems to be better too. I was really down and feeling low as the pain wouldn’t go from my back, Jack was highly recommended to me by a dog walker I know, and I ended up coming up that same day. On meeting Jack I felt at ease straight away and couldn’t wait to start the sessions! 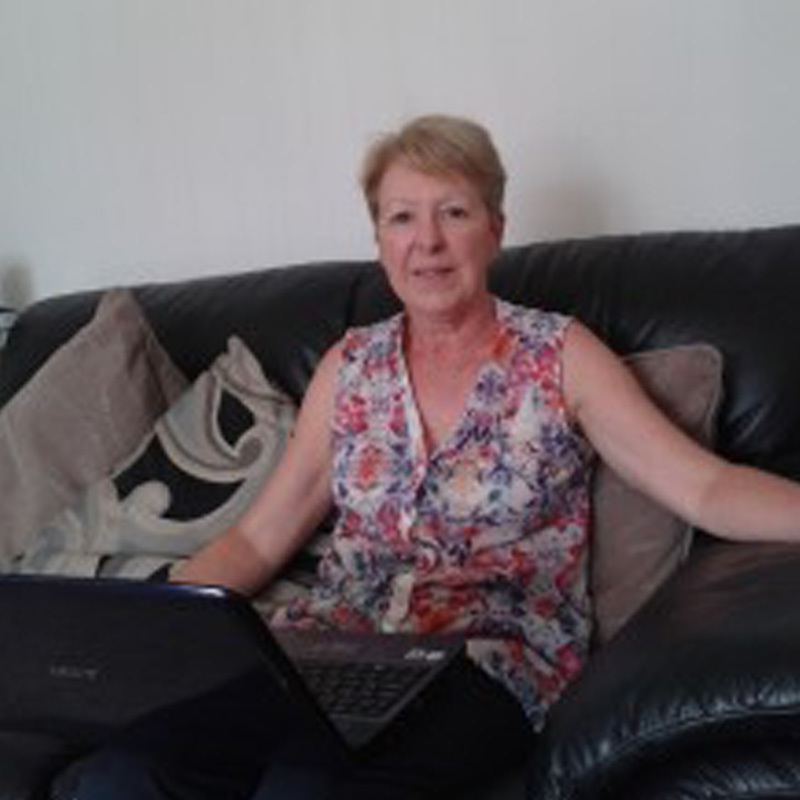 My Parkinson’s has improved in many ways, I am walking better, My Balance is better and I don’t shake as much as you can tell from writing this. My Back feels a lot better and I am out of pain and able to do my chores again. We had a little blip when I had some hip pain and Jack was away on holiday and I was in pain every day. I did try some of the moves Jack had give me but none gave me any relief.I was never so glad when Jack came back and rang me up to come and see him.We had a real good session and I learned a lot from that session.I am pain free in both my hip and back and that is all down to you Jack. Coming to see Jack was the best thing I ever did! I feel more confident in my ability to get on with normal everyday life! 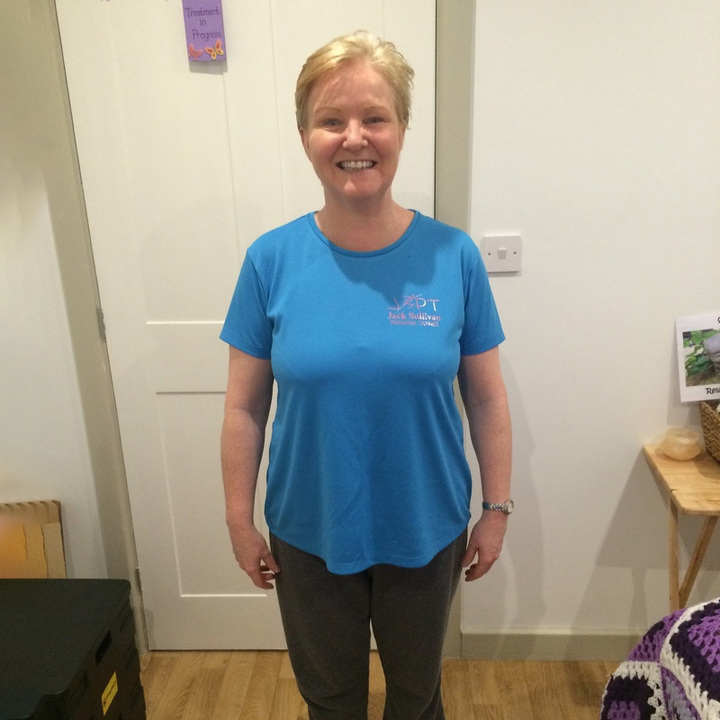 “I had back pain most of the time often causing me to have to sit down after only walking a very short distance. I was worried that there would be no change at all and the program could be a waste of money! I have not completely 100% lost my back and hip pain but I now have a great deal more movement than when I started the course and feel that if I keep up the exercises that I can only improve more! Before is started my transformation i was Tired, lacked confidence and miserable in myself. I knew i needed to change my diet and lifestyle which was causing my blood sugar to rise, which was being monitored by GP. This scared me and pushed me to change. At first I Thought I wouldn’t see results and I’d get bored. I was scared I would get bored and give up, like every other diet I've tried. I have enjoyed the exercise and making new recipes, which taste lovely! Also liked the fact I could still have naughty foods now and then but didn’t effect my results. I feel more energised and confident wearing fitted clothes. I now look at food in a different way and take time to read ingredients on labels. 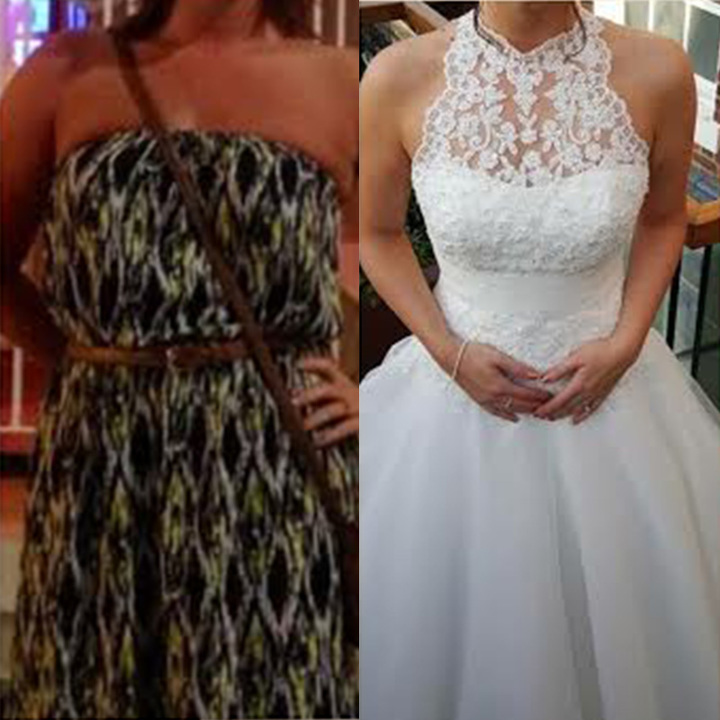 I have Lost 13 lbs, 10.40% body fat and a 6.2 inches from my waist and hips lost so I can now fit into a size 10 FITTED dress I couldn’t fit in previously. I was dubious at first and didn't believe Jack when he said he will help me reach my goals. I have learnt a lot during 12 weeks and really appreciate the time and effort the team put in to helping me. 27lbs gone and 14 inches disappearing! 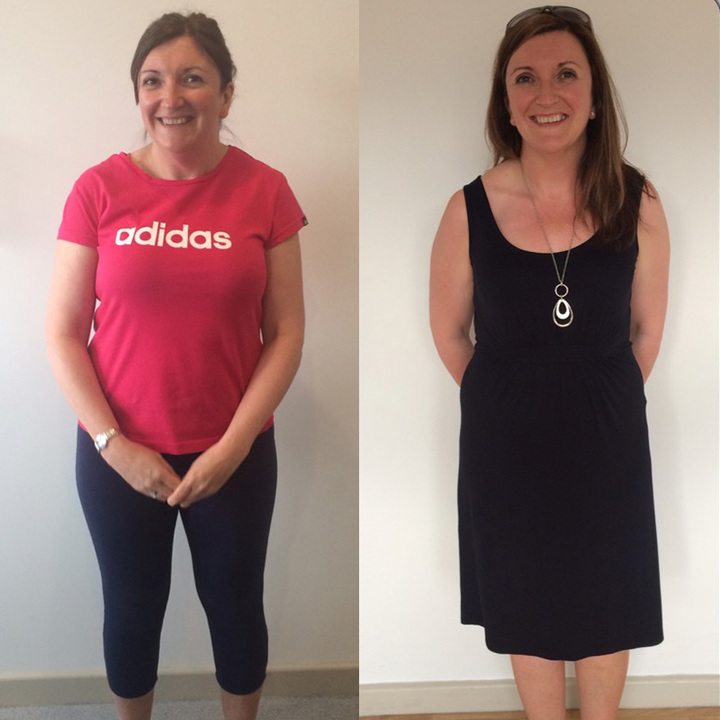 Before i started i felt overweight, un-confident and just generally unhappy with the way I looked. I’m also 'gym-phobic' so i was a little apprehensive before starting. 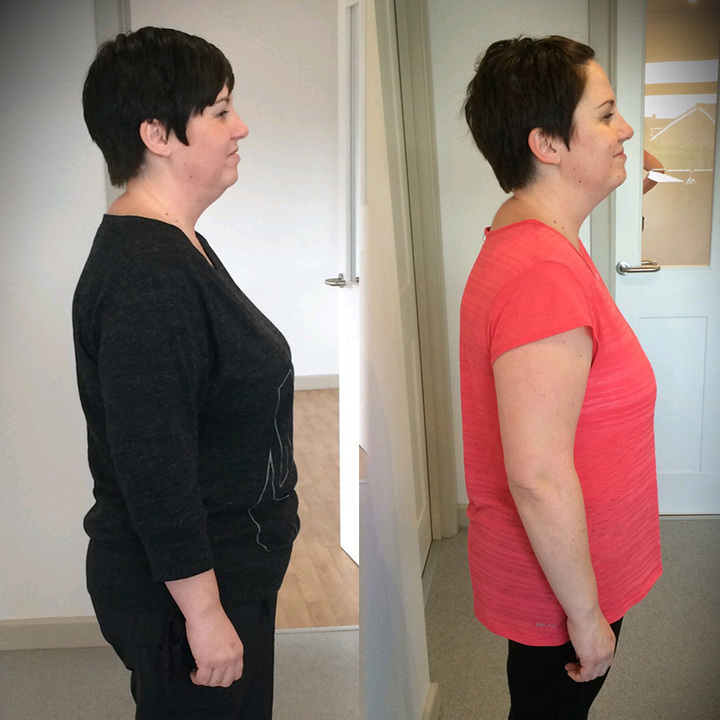 My confidence has boosted, loss of weight resulting dramatic inch loss so happier all round. Jack and his team kept me motivated and encouraged me to do things I would never have considered doing before. Through losing weight, this has enabled me to increase my fitness goals, and achieve them!! Exercising is a great stress reliever for me. Also i am now sleeping better as a result of better diet. I lost 27lbs and 14 inches! I've had an excellent 14 months I will never forget. I feel like I’ve got some tools for life now. 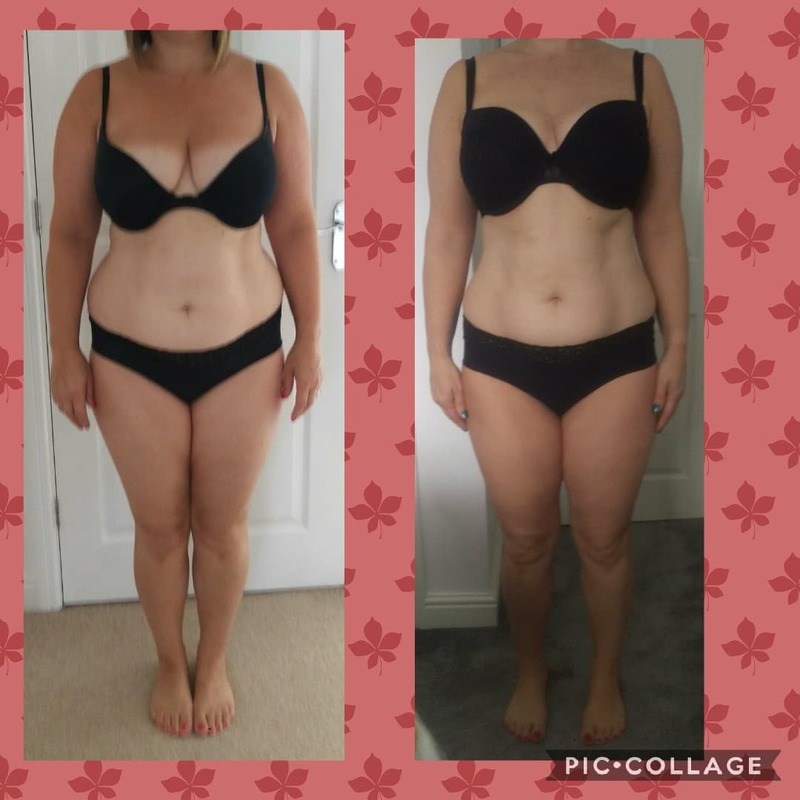 6.4 inches lost in 12 weeks! Before I started the program I had no energy and felt washed out. I did have fears that the program would be too much for me along side work, however it gave me more energy and more positivity. Now I always think about myself more and try to put me first. I was helped a lot by the encouragement and support from the group which lowered my stress, improved my sleep and given me more energy! Results wise I lost just under a stone, decreased body fat by 7.88% and lost 6.4 inches in 12 weeks!! I do miss the group, it was my time to switch off and I enjoyed the exercise and learned a lot! Before I felt fat and very afraid of what my future would be like if i didn't lose weight felt like i would be in a wheelchair unable to walk. Also worried i wouldn't be able to carry through looking a fool in front of people and knees would give way to fat to actually do the program. But everything has changed, I feel really positive about future, no longer fear not being able to walk and mindset totally different. Jack, Nathan and Ricky being non judgemental, supportive and yet challenging me to be more has helped! I can now get to sleep easy, now have more energy and less pain when walking... and can walk further now! 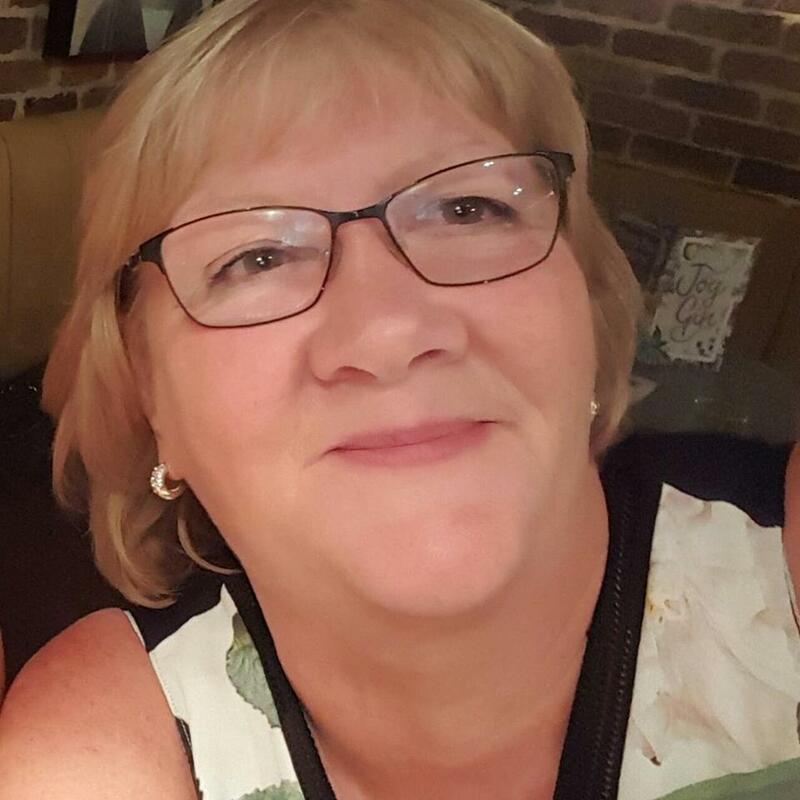 “I would always plan on going to the gym but working two jobs I would always find my self sitting down and just slobbing on the sofa when I had some spare time. I knew it was going to be hard work but I was more worried about sticking to eating well. 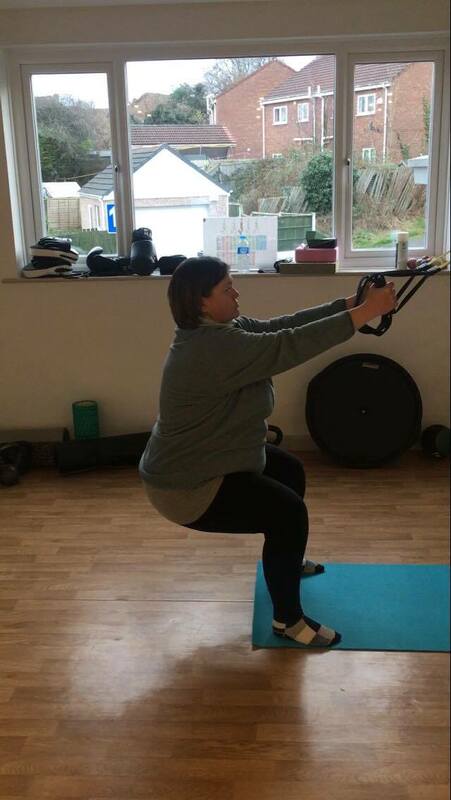 I had sessions sometimes 2 times a week once I got going it became part of my routine and something I looked forward too, especially as jack tracked my progress each week and gave me feedback which would give me the determination to succeed the next week. A feeling of desperation and despair springs to mind when I think about how I felt before I started the programme. I was lost and unable to focus on anything positive. My mind was all over the place. I had some fundamental ideas of what I could do, but getting started and organising my thoughts and actions was an impossible task to me. I felt like I had tried everything and that I was just going over old ground without any success.I was embarrassed about how I might have come across knowing that I was feeling desperate made me a little apprehensive and afraid. 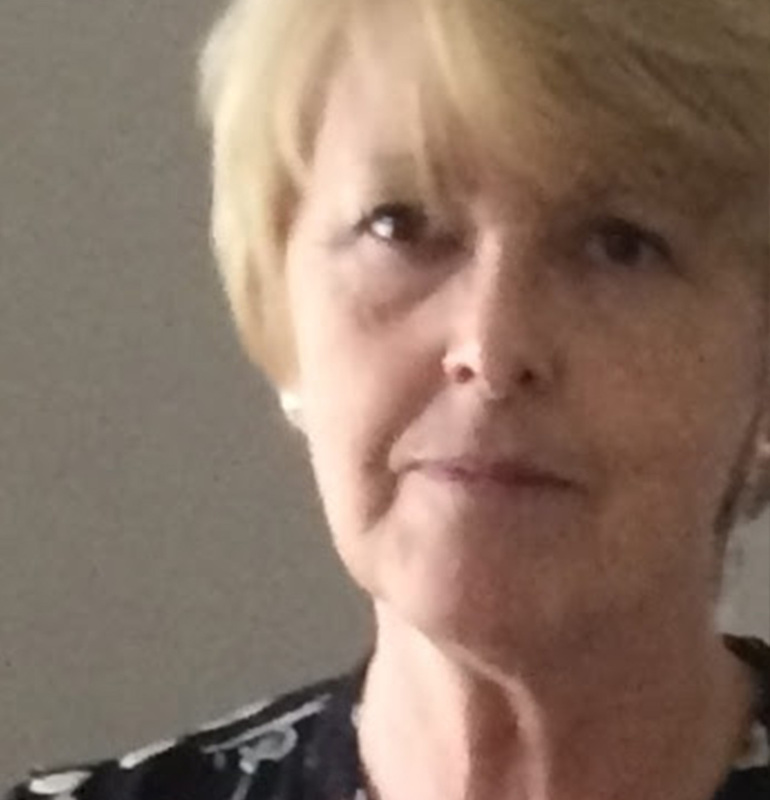 Being a woman of a certain age too was also a concern wondering about what the others on the programme might be like; how old were they, how fit were they, would they judge me ? etc.. I was also worried about how my hiatus hernia and reflux would withstand the programme. I wondered whether they would hinder my progress and contribute towards losing any motivation that I might develop along my journey. To begin with I set some goals that I wanted to achieve. My goals were; ‘to get the old Chris back’ and ‘to lose 1 ½ stone’. Looking at the foods that I was consuming was the next thing that I did. At the start,i thought, ‘this is it, I am going to go straight back to square one and I’m only a couple of weeks into the programme’. This was not the case at all. The support that I received from Jack and the people on the programme helped me to maintain my motivation and positivity. 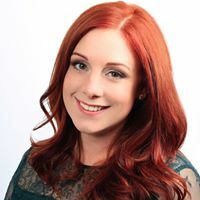 With the help of Jack the problems that I have been experiencing with reflux have subsided by around 90% and I know that the reflux has been a huge factor to how I think and feel and therefore have a knock on effect on the choices that I make. Maintaining a positive outlook towards how my lifestyle should be, knowing how to rectify any problems that come my way and continuing to set realistic short term goals for myself, are the most valuable concepts that I have learned. Continuous logging of food recalls has been eye opening and has enabled Jack to identify what causes bouts of my reflux. Reducing red meats from my diet as well as taking dietary supplements that aid digestion have had a big effect on reducing and limiting the episodes of reflux. Without doing the food recalls it may have taken longer to identify this, maybe years. Thank you Jack! Trying to re-ignite my sparkle was my ultimate goal, I MADE IT!!! Not only have the people who have only known me for a short time seen a change in me, but those who know me well (my family) have seen my sparkle return. I haven’t achieved the total weight loss that I was hoping for, but I WILL. So my journey continues and I got the old Chris back! I have been on two activity filled holidays recently, something that I definitely would not have even considered before I started the programme. It’s all about your frame of mind. Identifying what you should be doing and how you should go about doing it are the ultimate questions but once you have answered these you know what you have to do and stick to it. It’s funny really, I continually instil these ideas with the people that I work with, yet putting them into practice for me is a totally different thing. I HAVE LEARNED A LOT!!! Prior to starting at the studio I felt tired, breathless and unfit and I was constantly suffering with colds. I would often fall asleep in the afternoon when I got home from work. I was constantly hungry and snacking between meals but never feeling full. My mood was really low and I really wanted to change how I felt and looked but didn't know how to, or where to start. 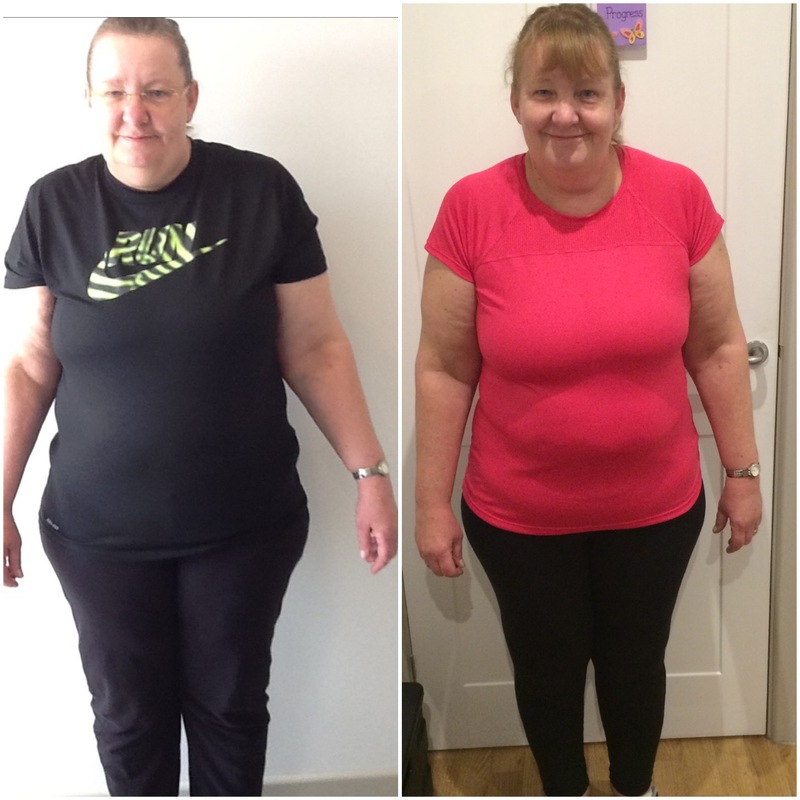 I had tried every diet and fitness plan around, and although I had success in the short term with some, I couldn’t maintain the results in the long term and soon put the weight back on, and more. I was worried that I wouldn't be able to keep up with everyone in the sessions and that people would judge me for that. I thought that I would have to be strict with my diet and completely cut out foods that I enjoy and avoid social occasions. I was wary about it fitting in with my life, my job, family and studies. Pretty much everything has changed for the better since starting. I am more active, my weight and body shape have improved, as well as my mood and I enjoy exercising! 27 lbs has disappeared and 10 inches from my waist and hip. I also have a better understanding of how to eat healthily without having to starve or completely cut out treats and food that I enjoy. I've had gradual, steady weight loss equating to 3 dress sizes. Massively increased fitness and energy levels, no more afternoon naps needed, especially as my sleep had improved too! My mood is better and I am generally more positive. I feel stronger and healthier and like I have control of my weight and fitness for the first time in 30 years! Before i started I was Depressed and felt low. But since the start i have Lost weight, lost nearly 6 and a half inches and feel so much better and know I will continue to eat healthy and exercise! Exercise and knowing and learning what to eat has been a big help on the way to doing this. Not only have i Lost weight but my energy has increased and i am sleeping better. Thanks for all the help. It's kick started me into having an exercise regime. Feel so much better for losing weight and actually enjoy exercise! The Support from Jack and his team, The inspiration and encouragement from everyone in the classes spurs me on to continue to get where I want to be. My weight has not reduced greatly but my fitness levels are so much higher than when I started. I don't feel as stressed as I used to, although we're in the process of moving house which may cause a rise in stress levels. My energy is greater. I still ache in places (probably more an age thing). Sleep is okay - not perfect (again a possible age thing). I also managed to shift 6.8 inches from my mid -section and 5.73% body fat! Thank you Jack and team for your time and patience with me, I probably ask some silly questions, however I appreciate your genuine response to them and helping me feel a welcome and worthy member of your special group. I have had two courses with Jack and cant believe my results. 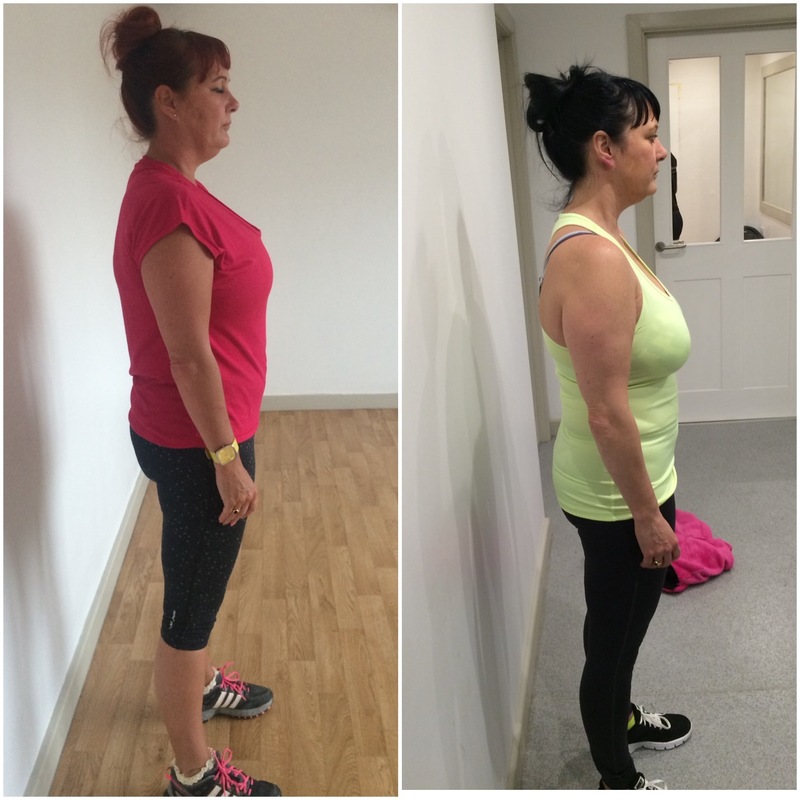 Not only has Jack helped me completely change my body shape he has changed the way I see exercise. I have had two courses with Jack and cant believe my results. 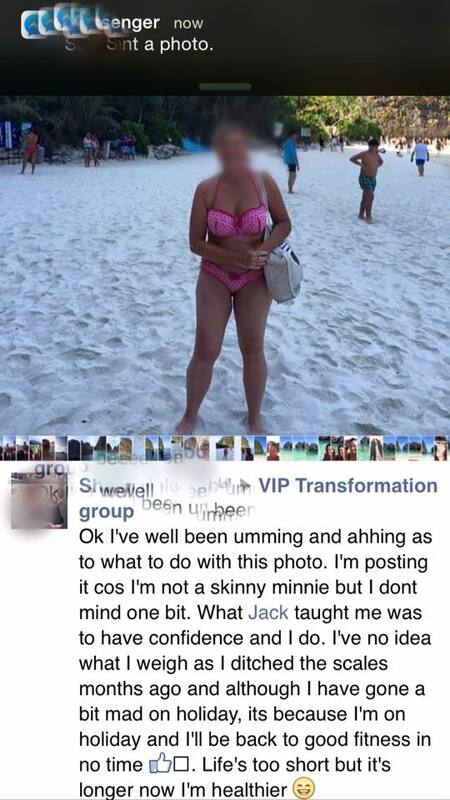 Not only has Jack helped me completely change my body shape he has changed the way I see exercise. 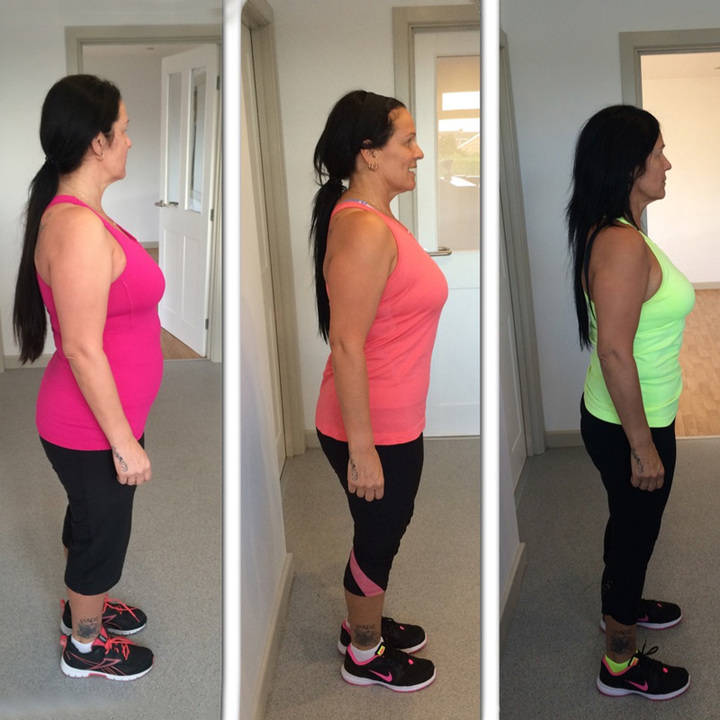 I have experienced a variety of different types of personal training since being a member at Lifestyle Fitness none of which have offered the complete package fitness, diet and support with dramatic results. If you are looking for ‘personal training that works’ Jack Sullivan is the best. If you are looking for ’dramatic, quick results’ Jack Sullivan is the best. Before I started I was lethargic all the time, felt very unhealthy and had no energy. I though that it would be too much of a commitment or I wouldn’t be able to stick to it. Whats changed now? My attitude, I know I can smash it if I keep focused. The Thing that helped me the most was Consistency, having the group to share the experience with and help hold me accountable. I achieved a couple of stone weight loss! Lost lots of inches, I felt a lot fitter and slept better. My energy was up! The most important thing I will take from the journey is my mentality. I know that I can do it, I can take a few weeks off as I did this year for my honeymoon and then know I can get straight back to it without it making me depressed and back to square one. It's ok to not be perfect, just let it go and carry on. It's a long game, not a quick fix. I would still be doing this programme I know if the times fit in around work more easily. Just wanted to say a massive thank you. Just that one free session you gave me and all the advice that I took in from you gave me even more determination and in just three weeks I am closet than I have ever been to getting where I want to be. I've eaten breakfast (gluten free corn flakes with soya milk) every morning (or a danio yoghurt if I'm short on time) I've not stuck religiously to the treadmill but done it as much as I can (apart from where I've felt too tired and didn't want to push myself too hard) and I've enjoyed the odd Indian (within reason) alcoholic beverages and chocky biccies as a treat only of a weekend for all my hard work and get straight back to it. It's because I know I can do it and when did a little treat hurt anyone?! Check out my b4 and after just 3 weeks Jack. I’m made up ???? I decided not to renew my membership at the gym I was going to because I was not getting any enjoyment from the work-outs. I did not feel as if I was improving my health or my fitness with the exercises I was doing. In fact they were making me feel worse. I still wanted to exercise but didn’t know what to do for the best, but I did know I didn’t want my body to hurt all the time! I have gone to a personal trainer in the past, but the ‘extreme’ training was just too much and I wondered if the trainer had taken my age and fitness level into consideration at all. 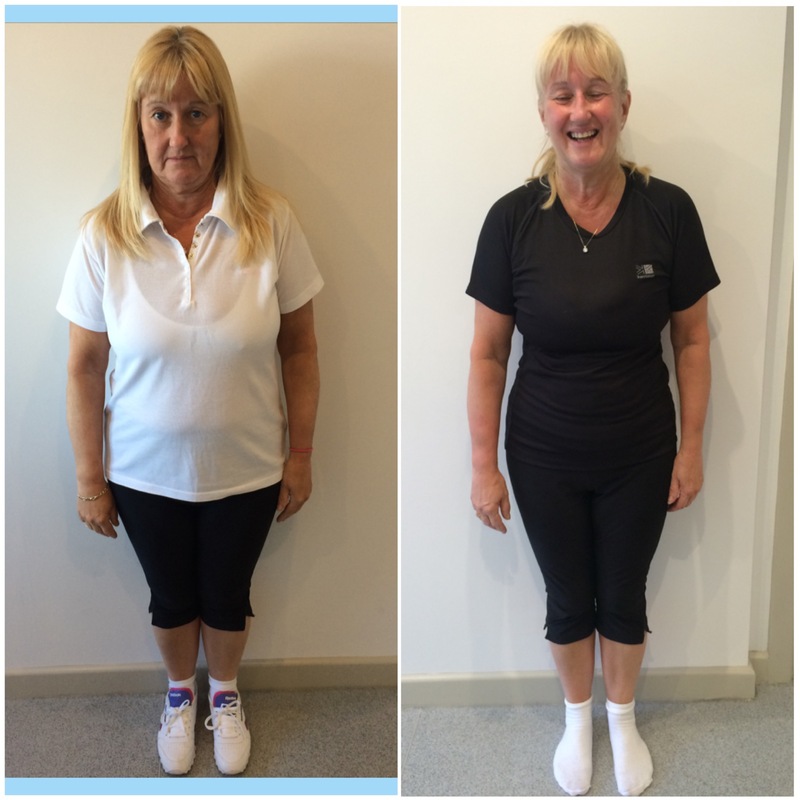 It was a very easy decision to go to Jack for personal training as his care and thoroughness during the assessment gave me the reassurance I needed. He picked up on the problems I had with my right hip immediately. Every session was interesting, with revelations about my posture, muscles etc. and I always felt as if I had benefitted from the exercises (oh and don’t think that they did not bring me out in a sweat – they did). Jack is a very kind and considerate trainer, never bossy, but that look of slight disappointment when I didn’t follow his guidance was enough to make me want to do better next time. The presumption that I have to exercise to the verge of collapse has gone. This has given me freedom to do the exercise I enjoy, not what others say I should be doing. My body feels stronger from doing what at first seemed like very simple movements, and I just loved the core mobility. Oh and I think I can do squats correctly now! My hip feels better, it is not as stiff as before and improving all the time. Jack’s gently guidance on diet and nutrition has also opened new doors, for which I am very grateful. He gives sensible advice, not fads. Going to Jack for personal training is the best thing I have done for my health and fitness for years. My body feels balanced and I feel very, very healthy! In an ideal world, I would continue to have training from Jack on a regular basis. I am going to carry on the exercises that he has shown me and hope that I will be able to do more training with him in the future. Before starting, I Lacked in exercise and motivation. Unhappy with my health, body shape and levels of confidence. Felt afraid to sign up to any gym. No real knowledge of food and what’s best to fuel your body. I also had a huge fear of joining any class/gym due too feeling as if id be ‘on show’ and looking stupid in front of others. Once overcoming the initial fear of starting sessions I immediately felt at ease, encouraged and supported. I no longer see gym/classes as something I 'should' do for better health but as something I want to do and something I enjoy. A lifestyle change! Advice, encouragement and support from jack and the team has helped, but also the backing of other women within the programmes. Classes are instructed so you are sure that the moved/exercises you are doing are right for your end goal. Before i started i felt A bit depressed. No self confidence. A bit disillusioned with physical appearance and emotional state of mind. I had been made redundant March 2017 and after my husband passed away in Sept 2015 I felt as though I was on the scrap heap and was a nobody. I felt that if I had help to tackle my weight and get fitter I would feel better emotionally and mentally. 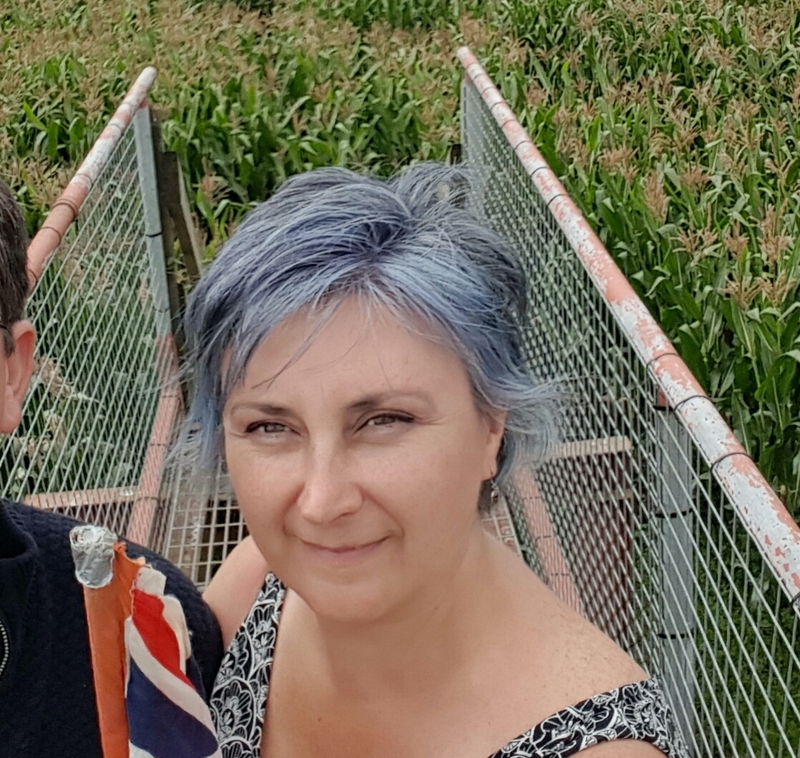 I was not sleeping well and under a lot of stress with family commitments which I did not realise at the time was contributing to how I was feeling overall. It took 3 attempts to come through the door of the studio. I was worried I would be judged and this would be a long lonely journey. The thought of joining a fitness class with other people was quite daunting. Over the past 5 months I feel like a changed person. I have not lost as much weight as I thought I would have done but that is my fault. I am fitter and in a better place mentally. I now make time for me each day and do something I enjoy. I am more confident and embrace different challenges within the family more calmly. I joined group sessions over the last month and thoroughly enjoyed them. One to one sessions has been the most help. It challenged me to do things I never thought I could do. My fitness pal app helped to keep the calories on track and I continue to use it every day. The on line video demonstrations were a great help an I tried most of them and continue to do some of them on a regular basis. I have also reduced my blood sugar levels to within normal range attributed to a regular exercise routine and also lost a lot inches from my midsection. I am continuing with 20 minutes cardio every morning and evening, aqua fit twice a week, walking when the weather is fine. I definitely have more energy and feel good. When I loose more weight I will feel even better and I am determined to stay on track. Thank you Jack for helping to change my life. To help me understand that I am important and not to feel guilty about putting me first. 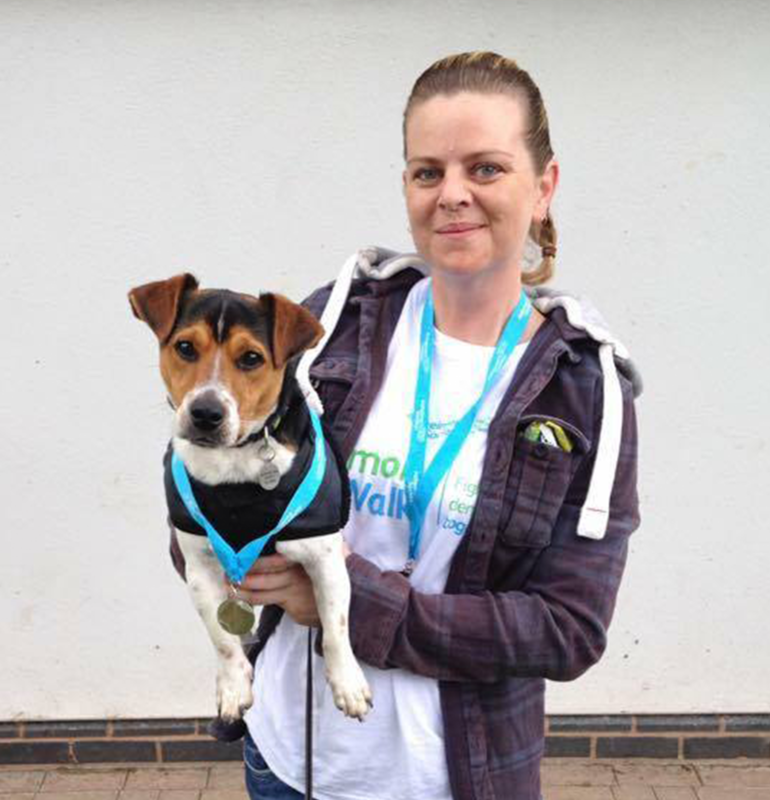 I heard about Jack's programme when I was feeling very low, I was overweight, unfit, sleeping badly and barely coping with work and family and not looking after me at all. 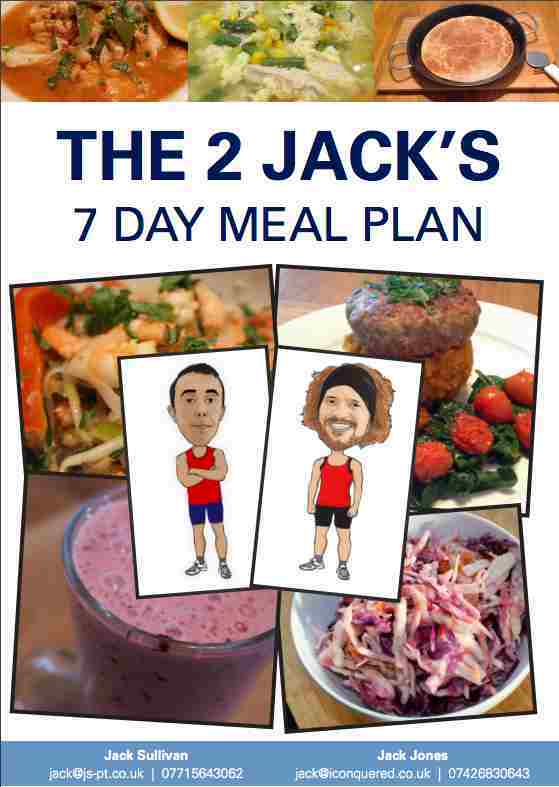 I joined Jack's 12 week programme with lots of doubts about if it would work, if it was worth the investment, if I could stick to the nutrition advice and mostly if it was sustainable. 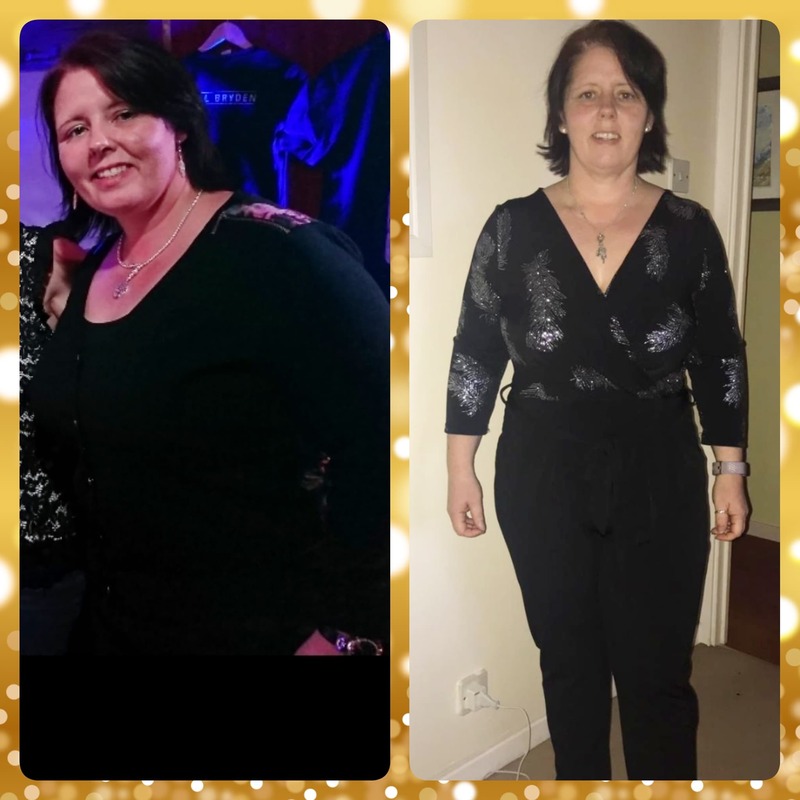 Well to all you out there with the same doubts I want to tell you I completed the programme at the start of December, at the end of the programme I had lost 29 pounds, 7 inches from waist and hips, I feel fitter more confident and better about myself so yes it worked, the investment was in me and yes I am worth the investment. 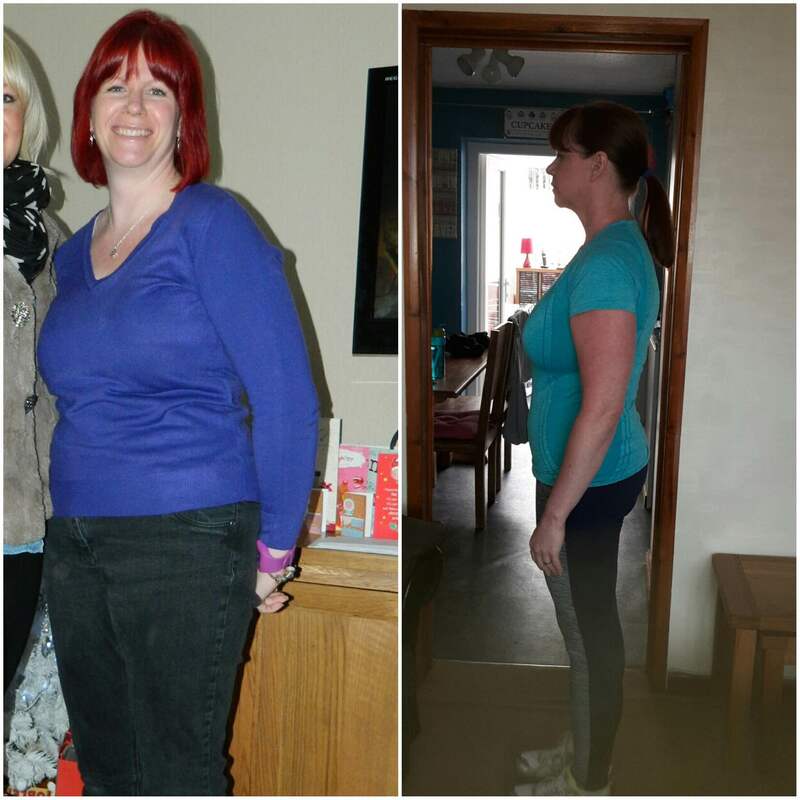 The nutrition advice is easy to stick to and easy to 'cheat' then pick up again and yes its sustainable, I have continued to loose weight even over the Christmas period when I have indulged but with a different attitude. I am motivated to continue with keeping fit and looking forward to 2016 being a great year. Oh and I'm not the sort to endorse anything lightly!! "I feel like a different person"
I was feeling really down and depressed about my lack of fitness and always feeling tired and lethargic before starting. I've discovered now how much I love exercise and how amazing I feel through exercising and being more conscious of what I put in my body. Whats Helped? ..... Knowing that the classes are in high demand so I couldn't back out of a booking even if I was feeling particularly tired one day. Also, how ,duh better I felt afterwards on those days where I didn't feel quite up to it. 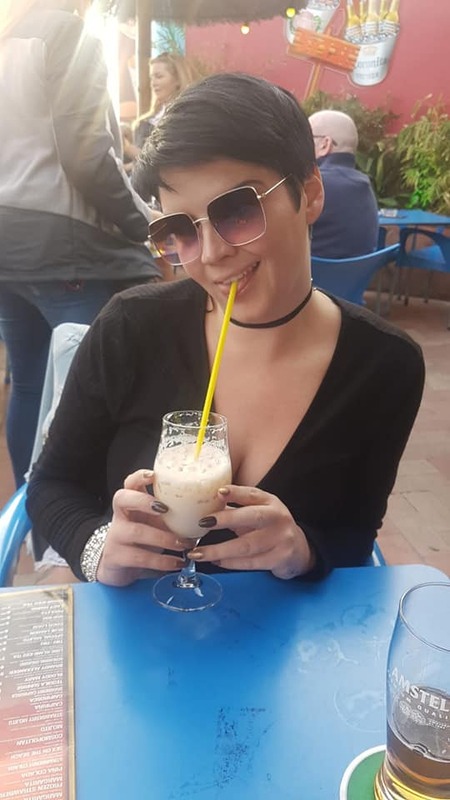 Also, the food informations and meal plans, my eating has totally altered from before I started the programme as has my sleep and alcohol consumption. Whilst I haven't lost a huge amount in weight, my body looks totally different. My clothes fit better or are too big, my stomach has massively toned up along with my arms and legs. I have more energy and stopped suffering with a painful back/hip. I'm sleeping better (when I don't have a dodgy shoulder!) and my energy and mood is so much better. I quite literally feel like a different person. Before I started I had put weight on because I was laid up with my back for a couple of months and was bored so kept eating. I felt tired all the time and my confidence had gone I felt fat and useless. I had fears that I wouldn’t stick to it and that I wouldn’t be able to lose the weight or alter my shape. Now I have found the old me again I have lost weight, body fat and dropped a dress size I feel amazing! I loved the fact that I was not on my own, everyone in the group are all there to improve their lifestyle and we all support each other in any way we can. 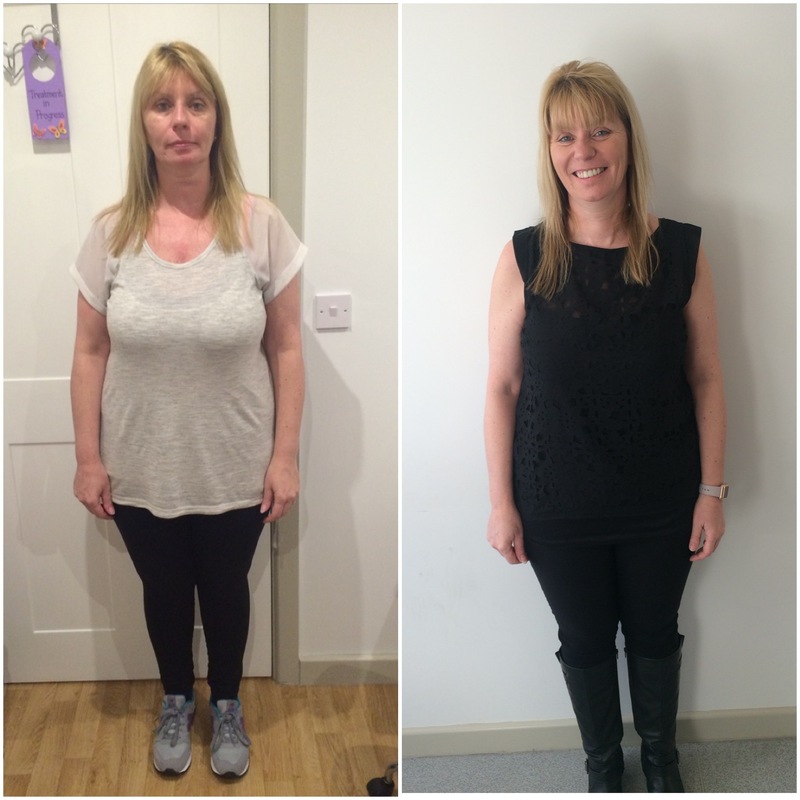 Jack and the team are awesome and will help you any way they can, there very supportive and knowledgeable.I have lost 21lbs, 13% body fat &, inches from all over, my fitness levels have increased , always full of energy, I don’t stress over things like I use to, my pain has gone and I am able to do exercises that I had not done for years, my sleep is getting there although need a a bit more improving. 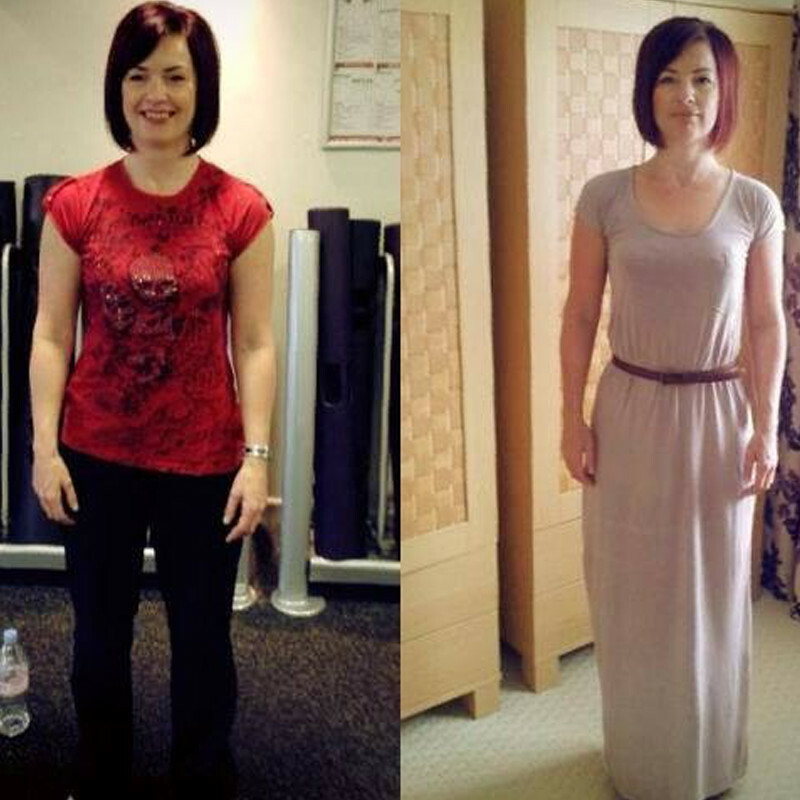 Before I started I was overweight, lacked energy & motivation & a couch potato! Typical yo-yo dieter & generally feeling fed up & miserable! I would start things & give up far too easily, making excuses not to do something! I was at the point where I needed to just do something completely new & different! I had an 'epiphany" I suppose & realised It wasn't just about losing a stone or whatever but more about improving my mindset & my lifestyle as a whole & saw this as an ideal opportunity to do it!! There was a little bit of self doubt at the beginning because I'd always given up on things before. It's like a convinced myself I'd never be any different! I was helped by Getting the right mindset & actually believing in myself for once! I never once felt deprived & I liked the fact that I could still go out & have a good time but still maintain regular results - it's all about getting the happy medium & doing what's right for you! Figures wise I’ve lost 17lbs, 5.7inches & 9.03% body fat & had more success in 12 weeks than I’ve ever had before. I feel amazing!! I'm fitter, healthier & happier & I'm proud of myself for finally investing in me & actually changing things! The whole program for me has been ace! Good food, lots of exercise & a wonderful group of people who have made it fun & provided support & motivation throughout !ts been hard work but have thoroughly enjoyed it!! Well worth the investment in myself & I would recommend it to everyone in the same position that I was in! Looking forward to results still to come.....!! Before i started I wasn't feeling too good about myself..my consultant said I needed to lose some weight before he'd do my op. I also felt unfit. I was worried about Not being able to do the exercises ... and also about injuring myself. I got fitter...sorted out my diet and most importantly got an appointment with consultant on 1st Dec. Still keeping weight level at achieved goal..stress is less...fitness has gone downhill a bit as haven't had time to attend gym classes. I got so much out of the JS-PT programme both physically and mentally. The sessions were exceptional, and for the first time ever I looked forward to exercise. I found myself putting in more effort than I ever had in a gym or normal exercise class environment, and seeing and feeling the benefit. My diet and understanding of food also really improved; bad habits were brought under control and good habits have been created for life. The studio also emphasises wellbeing, an area that I had never given any time to before. 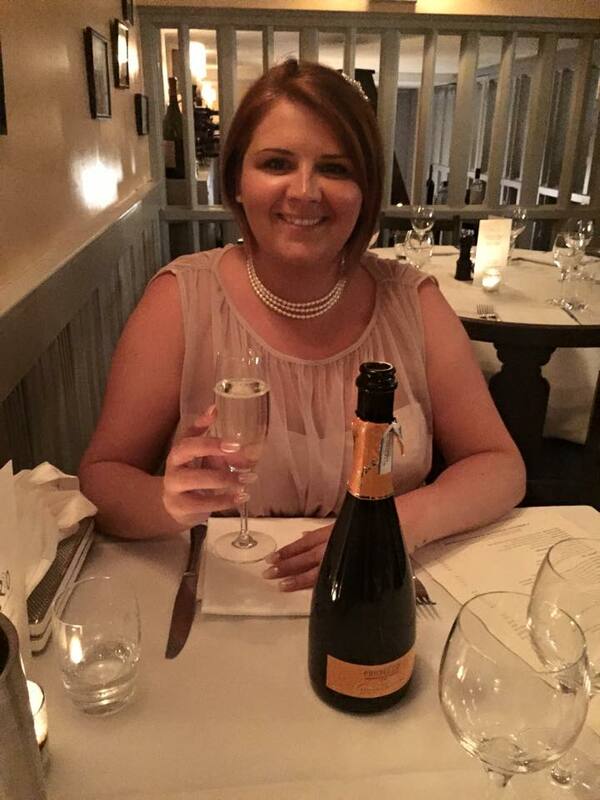 I had a lot of challenges and stress in my life at that time and the support and techniques that they introduced no doubt helped to steer me away from comfort eating or a bottle of wine! 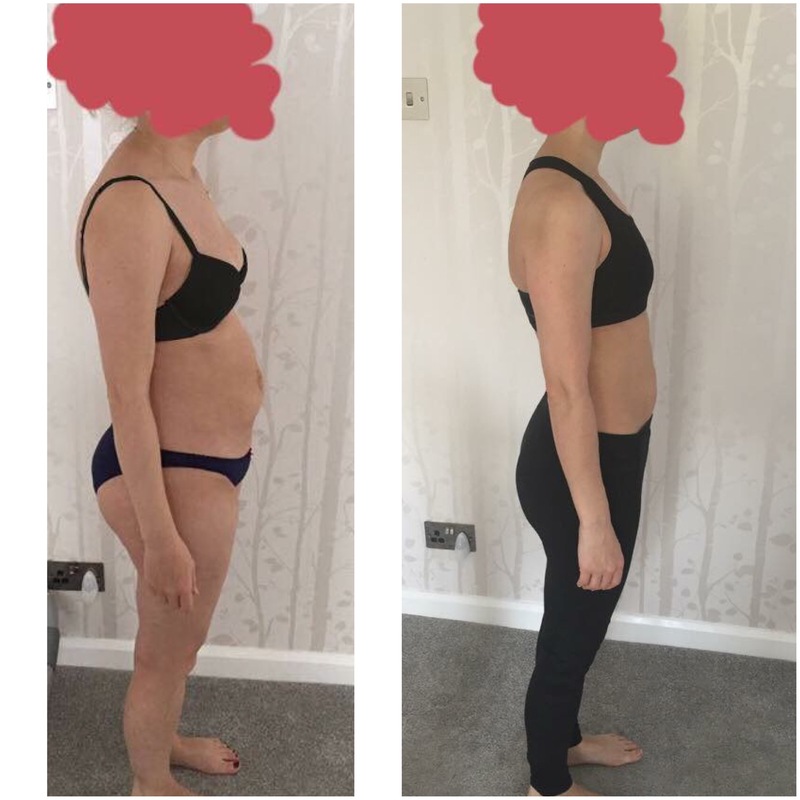 I managed to lose 8lbs, 5.01% of body fat and 5 inches in just 8 weeks!! Being part of the group really helped, and it was a great resource for asking questions, sharing tips, getting recipes, and celebrating each other’s achievements! Jack and his team have the ability to motivate and drive you towards your goals, and I could not recommend the programme highly enough! Before I came to the studio I felt that I had lost control of everything ie. Weight, fitness no motivation. I was fearful of whether or not I would be able to attain the above and meeting new people, not knowing anybody. Results wise now i feel in control, i have more motivation, fitness improved and my weight is going down. Ive also managed to shift 8.18% body fat and 5.2 inches! 3 months after having a baby I was feeling extremely tired and unfit. My joints hurt walking up the stairs. 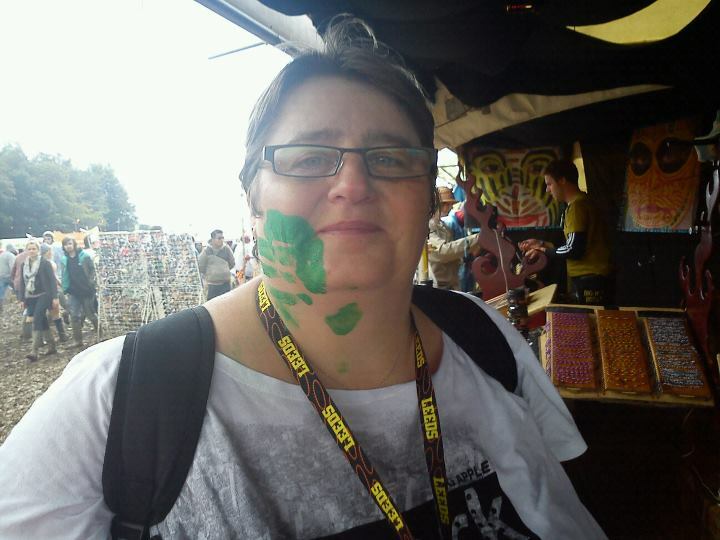 My skin was patchy and pigmented. I had very little energy. I was having B12 injections every month and prescription iron tablets. My figure was out of shape and not toned. I have completely changed my life and perspective. I feel energetic every day and have managed to return to work and still have energy to do night feeds and get up at 6am each day. I'm fit enough to do an 11 mile tuff nutz which I would never have dreamed of doing 12 weeks ago. My skin has cleared and I no longer need injections or iron tablets. I fit into my clothes and feel confident in a bikini just 6 months after having a baby which is amazing. My figure is defined and toned. I've also got a much clearer idea on what to eat and regularly plan meals which helps the whole family and also saves money. Support from my family has honestly helped me the most. Bad days when I don't want to train or eat well we're made better when lived ones kept encouraging me. It really helped to get regular resources from the programme such as emails and videos to keep me going. 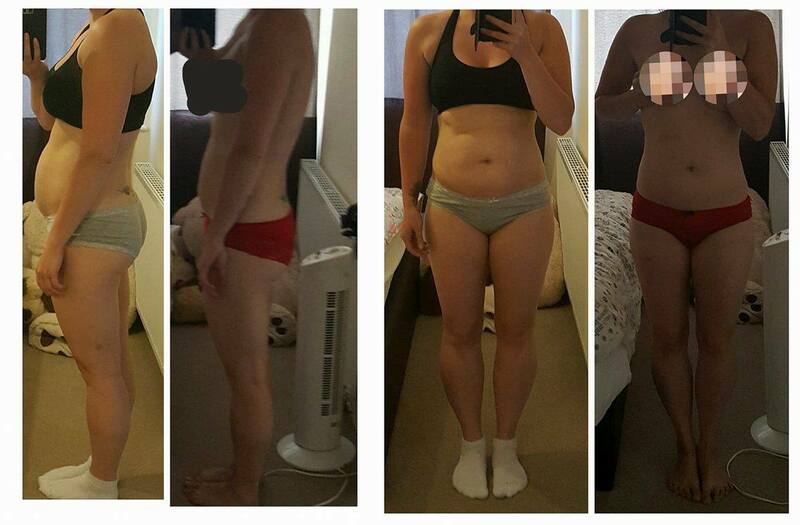 I lost over a stone, just over 5 inches from around my waist and hips and nearly 10% body fat in 12 weeks. The programme has really changed my life- at the best time of my life. I would recommend it to anyone wanting to make a change in their goals today. Before i started at the studio i was overweight and didn't do any form of exercise. My sleep patterns were off and my eating eating habits were awful. The group support - knowing I'm not the only one - Was a huge help! I would like to say a big thank you to Jack and the team - you have always pushed me when I needed and backed off when you know other life commitments have taken over. I will be forever grateful to have met you and joined JS-PT and for anyone who wants to make real changes to there life for the long term then I would highly recommend Jack and the team. 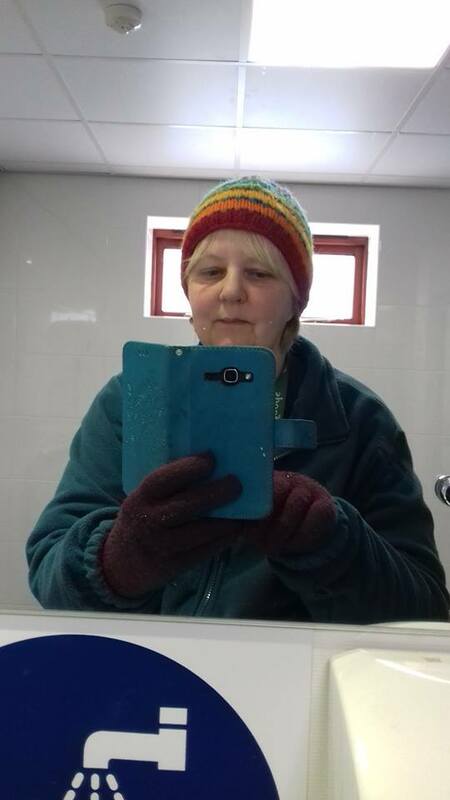 But now I have more energy, much fitter and a lot lighter, made new friends and changed my lifestyle altogether, eat healthier and look forward to the sessions, if I could, I would do them all! Before i started i was always tired and feeling low, in a never ending circle of faddy diets. At first i had worries of embarrassment, lack of confidence and failing. 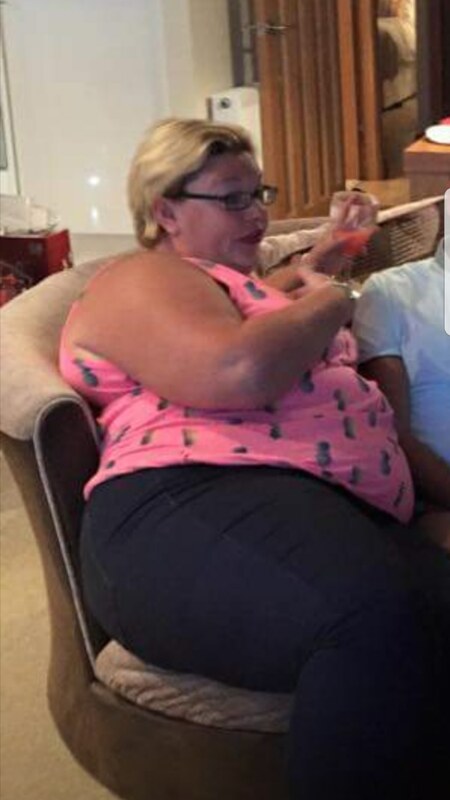 I have now changed the way I look at food, making better choices, not on a ‘diet’ any more (word diet is banned) numbers don’t matter its about how you feel and do you like what you see in the mirror ! The encouragement from the team, the videos, the support, the recipes and the support of the group! I have lost a few inches all over, I feel better in myself, exercise is now enjoyable, I know I have a long way to go to my goals but I know it is achievable I also accept there will be set backs but that doesn’t matter I have the strength to pick myself up again, my back ache is a lot better, I no longer need my daily dose of Ibuprofen and co- codamol , my Blood Pressure has improved! I haven't progressed since before Christmas but I am ok with that, I am now on the mend and getting back to it. I have really enjoyed the whole experience, I am sad my VIP is at an end but I do plan to continue attending the open sessions. Thank you for changing my life around you and your team Jack are great motivators I feel 20 years younger! 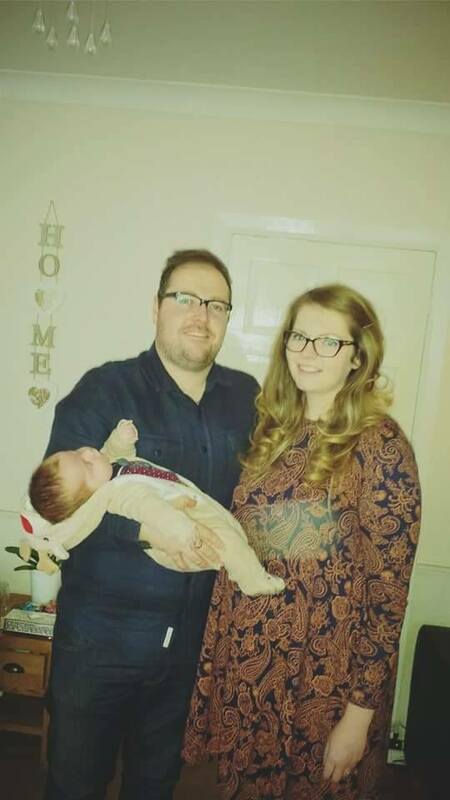 After just giving birth and gaining over 2 stone I felt sluggish, sad and unhappy and worried that I wasn’t going to be able to the happy and healthy mum for my child. I was worried that i wasnt going to be able to loose any weight, i had low self esteem and no confidence. The exercise part petrified me that I wasn’t going to be able to do it and that I'd be the joke of the group. I am a lot more confident, I can leave the house with my boy and not worry what people think of me. I am much happier and I can definitely tell that I have a real smile in photos now. I eat a lot Healthier now and don't rely on takeouts and I have breakfast everyday. Honestly all of it has helped, but I'd say the classes. Taking me out of my comfort zone and having to exercise in front of people. And the constant support of Jack and his team and all the other members. Without them i wouldn’t of managed to achieve what I have. 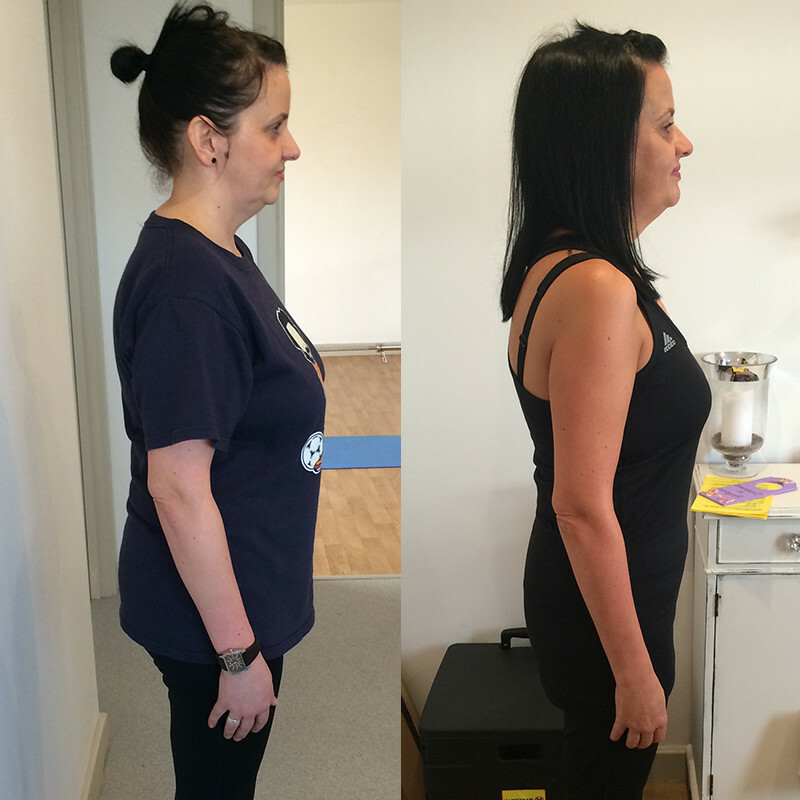 I have lost over 2 stone in weight and dropped 3 dress sizes. I sleep alot better, no waking up in the night. My fitness levels are better than they have ever been in all honesty, I can walk up stairs without getting out of breath and can lift my son with ease. I have the energy to go out everyday, no more thinking oh I’m tired let's just sit inside and play/watch TV almost everyday I put him in his pram and go for a walk to the park. 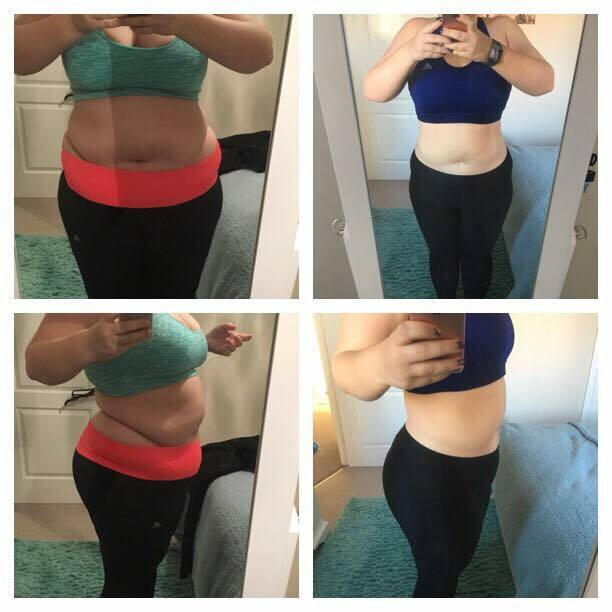 I was beyond lucky to have won the free 1 one year membership, with the help of Jack and his team I have managed to loose the weight I hadn't gained and abit more in my pregnancy which I got told was rather hard to loose but I did it! I know i still have a long way to go but with all of the advise that Jack has given I know i will get there. 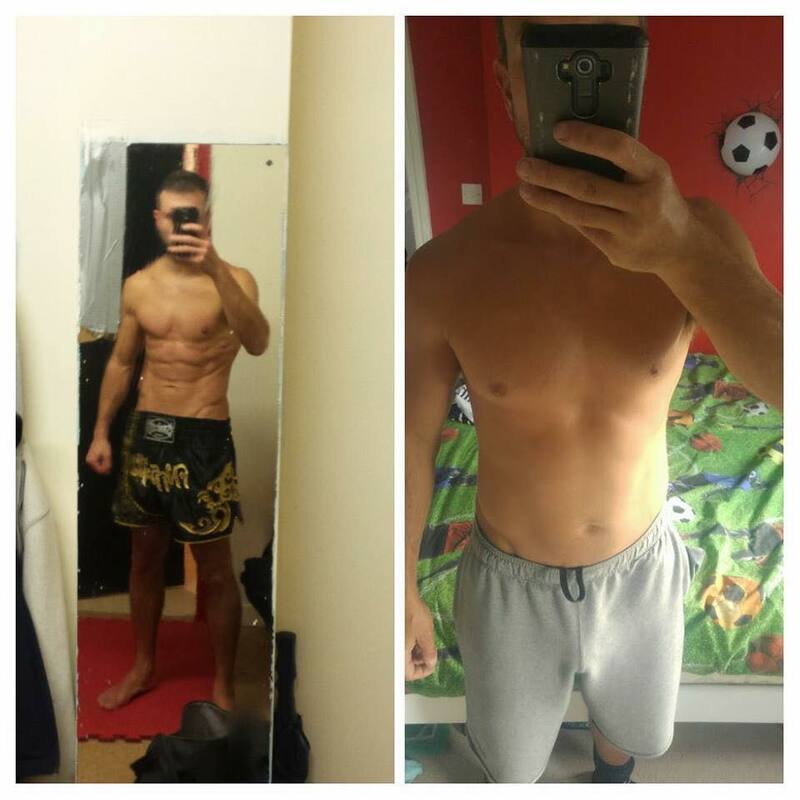 Results - Over 6.7% body fat gone, muscle mass increased in 8 weeks! Before I started I felt Chubby, lacked energy, lack of motivation and Used to eat late at night. I was worried If I would see any positive changes - if the training/diet plan was something I could keep up permanently. I have now been introduced to a range of exercises which I wasn’t aware of before Jack shown me - huge benefit. I drink a lot more water, I sleep a lot better, and I have stayed in good shape for 6 months (so far!). Jack's experience and guidance has been excellent. He is willing to answer any question, and go above and beyond to ensure I hit my results. Jack was pretty much available 24/7 and was willing to build the sessions around my needs. I lost 10 pounds in just 8 weeks, dropped over 6.7% body fat, increased muscle mass and through Jack’s guidance I have kept he weight off. I am a lot leaner than I was when I stared. My sleeping pattern has improved (which Jack specifically targets - this hasn’t been the case with other gyms/trainers I have had). Jack personalised my training programme to ensure I got the results I wanted. These results have been maintained due to Jack's guidance and motivation. I strongly recommend Jack Sullivan for anyone who would like to reach their goal, and even go beyond! Thanks Jack! I was completing a limited amount of exercise and my nutrition wasn't terrible but needed closer attention before starting. My biggest issues were pain to my shoulder and my own state of mind! I was concerned about my own commitment and sustaining motivation whilst doing this. I'm pain free in my shoulder. I have a greater awareness about what constitutes good nutrition. 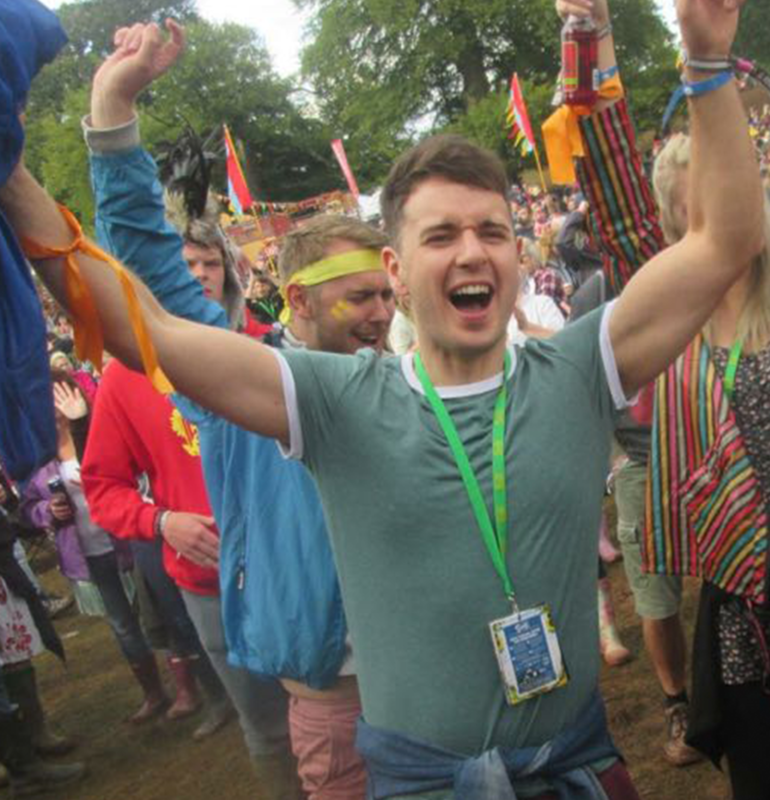 I have lost a considerable amount of weight, toned up and feel fitter. My mental health has also improved despite going through some personally challenging times. Both the personal training sessions and the small group sessions were great. The combination of both allowed for tailored training while benefitting from motivation from other ladies with the same aims in mind. You don’t get lost in a big class of people but you never feel like you're the only one which has happened to me when I use a PT before. I lost a stone and a half in weight. I am able to manage stress more effectively. I am generally more motivated to be active than I was. I no longer have shoulder pain. This has been a great experience for me. I think the concept is quite unique and definitely one which allows for long-term effective results. I really appreciated the holistic approach to my physical and mental well-being. Thank you for everything you did for me, I'll be badgering you to open up a similar studio on the Wirral! Will need some help again once I've had this baba! When I started I was desperate. I was in a bad routine and my relationship with food was awful. I wouldn't eat for hours on end, but then I would eat whatever I could grab and eat too much of it. My moods were terrible, my sleep pattern was disturbed and I rarely had any energy. I was worried I would be judged. Stared at, laughed at etc. I feared I would fail, fall over, make a fool out of myself. Apart from losing a massive 48lbs and 14.2 Inches in total from waist + hips, my confidence grew so much. I felt happy in my skin and felt good in my clothes. I wore a dress on a night out for the first time in 6 years! The support and encouragement from Jack and the other coaches, but also the support from the other members was great. I was petrified at first. I very nearly chickened out of my first meeting with Jack, but when I got there, he made me feel relaxed and at ease. I felt I could be myself around him and he never judged me, not once! Body fat stripped right down and ready for fight night! Over a stone and a holiday! 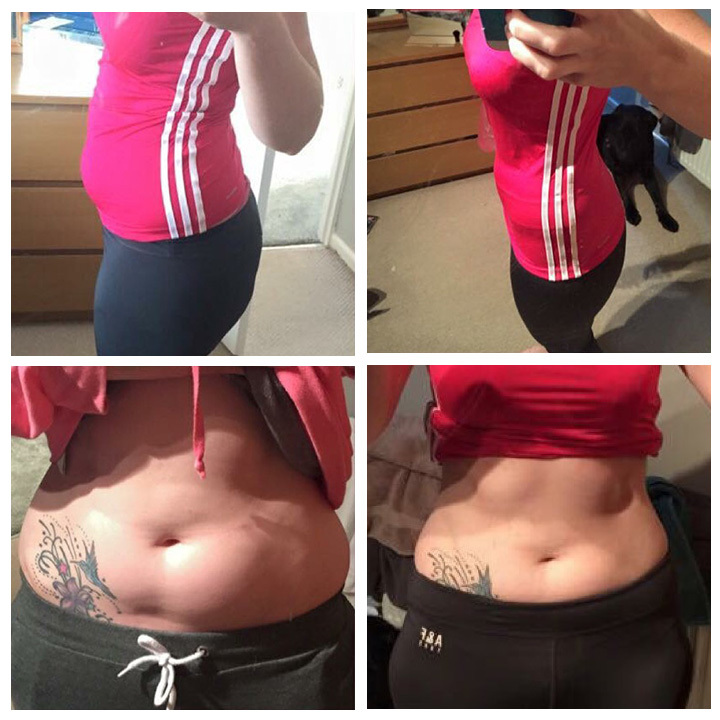 Before i started I felt fat & sluggish and the more I tried to lose weight the more I put on. Didn't have the energy to run around with the kids. I had fears that I wouldn’t be able to keep up with the rest of the class & meeting a group of people that I didn’t know. Now, I have met a wonderful group of ladies, and I now have a lot more energy and am totally enjoying exercising which has shocked me!! Jack and the team has helped me the most by showing me where I was going wrong with what I was eating & that I wasn’t eating enough. The girls have been very supportive as well. I now weigh over a stone less,dropped 3 dress sizes, have dropped inches from my waist and I’m in bed by 10.15 at the latest!! I'm able to cope with stress better after being shown breathing exercises & my fitness levels have greatly improved. I can run circles around the youngsters in work now!! I have thoroughly enjoyed my time & will be signing up for longer as now I know it works it's worth every penny that I have paid!! Looking forward to more good results. Massive thank you for so far. I have worked hard in the last 15 months and feel great. This is down to a family member recommending js-pt health studio. My confidence has grown, my health has improved, I no longer suffer from sleepless nights. My posture is great, my body toned more than it has ever been and on top of that my diet is a lot healthier which meant weight loss. We all have bad days. Eat crap, drink too much over the weekend and not in the mood to exercise. This IS normal!!!! 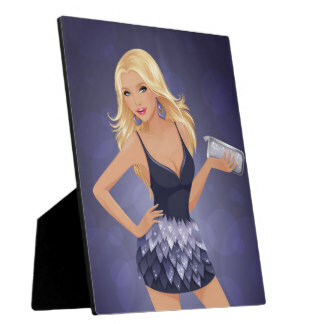 But Jack helps you to change your outlook to these bad habits and encourages you to make new ones. Jack and his team have a way of drawing you in to the FUN to exercise and routine and being a healthier you! ☆YES you will notice results if you stick with a program. I had many fears the first time I met Jack. The hardest part for me was walking through the studio door. I am so glad I did. The new lifestyle for me is amazing. New friends who have all taken that first step and have succeeded and we all continue to succeed. If you have the opportunity to meet and work on one of Jacks programmes TAKE IT the transformation will be amazing. Thanks Jack. You and the Team are dedicated and helped me and many others get results. I had joined local gyms previously but once inducted I was left to my own devices which meant I quickly stopped going and ultimately gave up. I tried doing exercise routines at home also but again would stop after a few weeks. 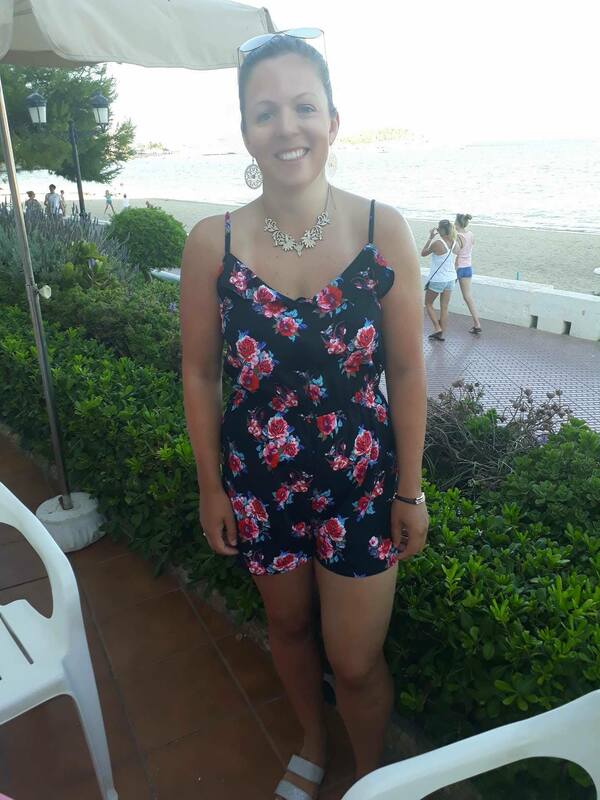 My daughter was 4 years old but yet I failed to lose the baby weight I gained whilst pregnant, this was getting me down and with my 40th birthday approaching I decided I needed to act now. I had a goal, I just needed the guidance and support to get there. I didn't want to fail, I wanted to do this not only for myself but to prove to people around me that I could do this. Having failed on previous attempts I wanted to succeed. Walking into the session for the first time was a little daunting however once over that initial greeting I felt at ease and over the weeks felt relaxed. Having the support from Jack, Shane and the team, I have totally changed my daily routine. I looked forward to exercise oppose to dreading it. I've changed my eating habits not only for myself but my family. I'm more aware of what I'm eating, jotting everything down on my fitness pal and recording my exercise. I now realise I don't have to exercise for hours on end to get results. I understand what foods are best for me and now choose high protein foods to keep me fuller for longer. I still have the cheeky treat or night out, I just pull it back over the week or do a little more exercise. I have enjoyed the support and guidance from the team, even when I've not fell up to it they give me the push I needed to get me back. It's exactly what I needed. The support from Shane from a nutritional point of view has been fab, to add the girls on the group have been amazing sharing their stories and ideas. In 3 months I've lost just over a stone and several inches from my waist, arms etc. In addition to this I feel so much happier! I'm getting into my old clothes, I am planning more which ultimately relieves stress. I'm not coming home and making wrong choices with foods due to planning. I have a scheduled fitness plan in place which fits around my other commitments. Since starting I have found I have more energy and sleeping better. I could not thank JSPT team enough, from start to end they have made me feel welcome. It's like a little family, none judgemental friendly members. What they have helped me achieve over a short period of time is amazing and I'm extremely grateful. You gave me the kick up the bum I needed and put me on the right path for a new stress free healthy lifestyle. Before I started I was stuck in bad eating habits and in denial that anything would help me get fit and drop some weight. I was taught how to ditch all the excuses, start being pro-active and I was determined to make a change! Everything was outside of my comfort zone …. Exercise, group classes, healthy eating. But I really really enjoyed it all! Huge change for me .... And it's proving to be a huge change for all my family too. We are all now walking, exercising and eating far more healthily, Massive achievement with four teenagers! I am now able to wear the red dress that was far too small for me … the inches made all the difference!! Made me feel more determined to carry on and feel better about myself.